Marissa Kershner Verbally Commits to Rock Valley College! Shout out to Heat Elite Senior Marissa Kershner, Hononegah High for verbally committing to play basketball while earning her degree for Rock Valley College(JUCO D3). Marissa is a 3 point specialist that has been working very hard on her offensive game capable of finishing around the rim with her left or right hand! Marissa has great defense from the rim to the arc while snagging boards on offense and defense. Brianna Lake Commits to Benedictine University! Congratulations to Heat Elite Senior Brianna Lake, Belvidere North High School for committing to Benedictine University(NCAA D3). Brianna is a very high IQ Guard that can run any offense or defense at a very high level! Brianna has some great offensive strengths that include attacking the rim with either hand and knocking down the 3 ball at a high rate. Brianna set the school all time scoring record, is a 1000 point scorer, and has been Named NIC-10 All Conference along with other accolades that has recognized her abilities are at a high level. Bri will be studying elementary education while playing basketball. Brianna you have done great in school and AAU ball, your skill and dedication has shown you are ready for the next level! Heat Elite Player Picks Up Offer! 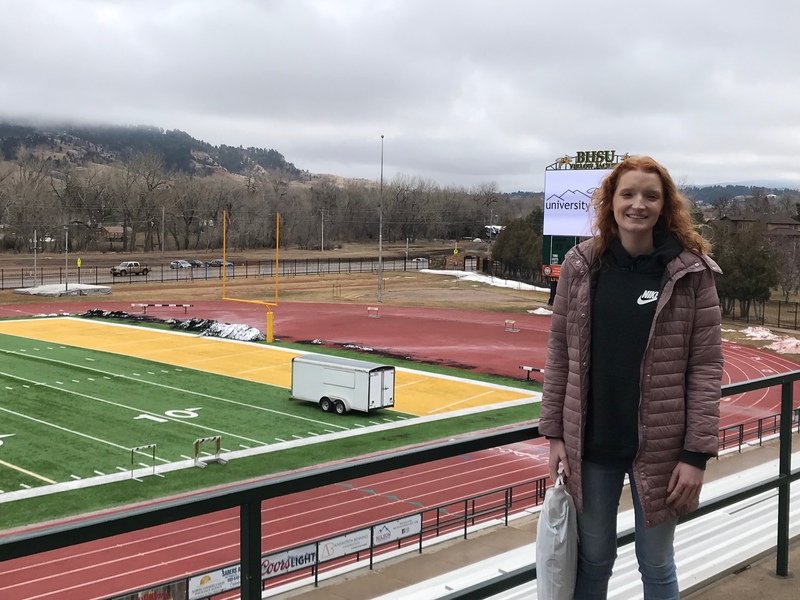 Shout out to Heat Elite Player Noelle Lavery for picking up an offer from Black Hills State University(NCAA D2). Noelle is a 6’ shooting guard that is coming off a great school season while constantly staying in the gym working on her skills. Coaches will want to get in contact ASAP if you are looking for a solid shooting guard! Great job and keep up the hard work! Our summer tourneys will be starting soon, the team will be fun to watch. Sydney Erwin Commits to North Central College! Congratulations to Heat Senior Sydney Erwin, Auburn High School for committing to North Central College(NCAA D3) Sydney is an athletic guard that can do a lot of things very well on the court! Sydney uses her long wingspan to play great defense from the blocks to the wing. Her offensive skills are versatile and has a nice touch around the rim or will knock down the jumper! Sydney you have done great in school and AAU ball, your skill and dedication has shown you are ready for the next level! Heat Elite Alum Leads Clarke University to Elite 8! 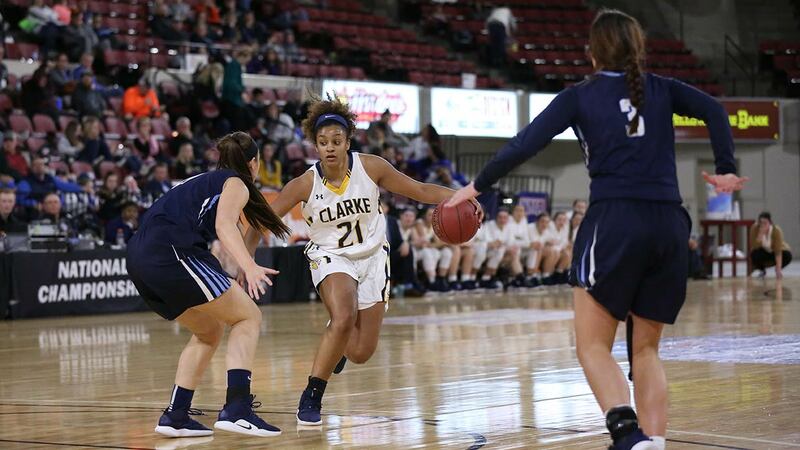 Great job to Heat Elite Alum Natasha Adames(Auburn High, Class of 2015) for nabbing a Double/Double with 24 points and 12 rebounds in an upset victory last night to lead Clark University into the Elite 8 at the D1 NAIA National Tournament. Good luck Natasha and the entire team in your next game! Kai’Terra Ross Commits to Gogebic College! Congrats to Rockford Heat Senior Kai’Terra Ross(Guilford High), who verbally committed to accept an athletic scholarship to play for Gogebic Community College(JUCO Div 2). Kai will be pursuing a degree in finance while playing basketball. Kai has had a successful high school and AAU career that has shown she can handle the work ethic and commitment to play at the next level! Great Job Kai, all Rockford Heat Coaches, Players, Parents, Alumnae, and Fans are proud of you! Heat Elite Alum Commits To Governors State University! Congratulations to Parkland College Grad, Crystal Mathis(Guilford High, Class of 2017) for accepting an athletic and academic offer to further her education as well as play basketball for Governors State University(NAIA D2). Crystal had a great career at Parkland College and also had a great high school career as a Rockford Heat Elite Alum who was a top prospect in the Rockford area for Guilford High school. Crystal will be studying Communications while pursuing her degree. 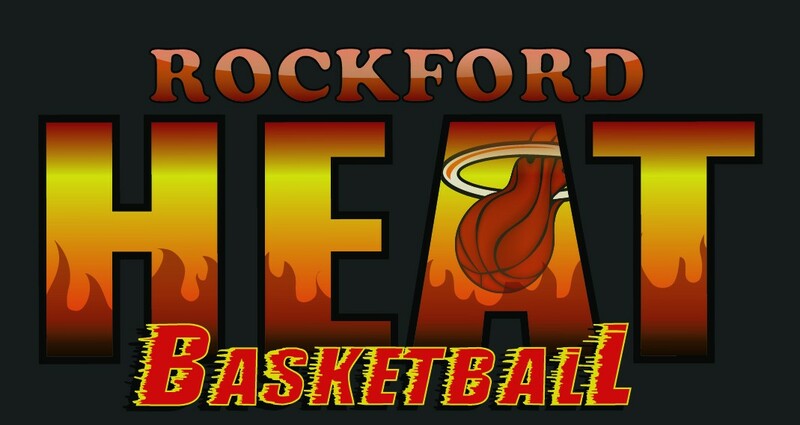 Great Job Crystal, All Rockford Heat Coaches, Players, Parents, Alumni, and Fans are proud of you!